Fresh, modern, new: During a three weeks construction phase the guestrooms of Yenidze’s Kuppelrestaurant got a totally new look. With a new bar, wall design and seats the restaurant now presents itself in a modern design. A new colour and lightening concept creates a pleasant atmosphere that invites you to stay: Grey and white tones are used in contrast to vibrant chianti red tones. Additionaly, LED lighting stripes support the comfortable atmosphere. 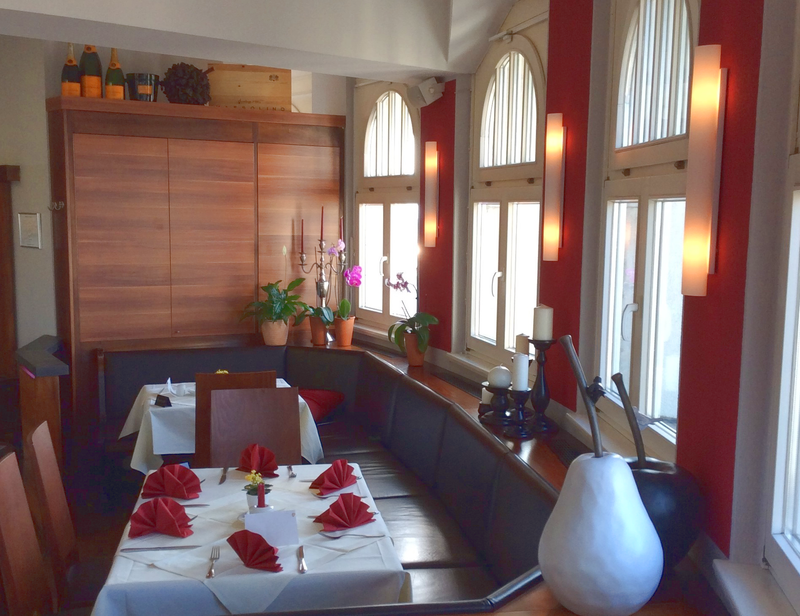 Furthermore, guests can now enjoy some novelties on the menue: The offer of oriental cuisine was expanded. Seasonal offers – like dishes with asparagus – complete the menue. Visit the website of Kuppelrestaurant for more information.